Apple has tasked Norman Foster's architecture company, Foster + Partners, to work on new designs for its much-lauded retail outlets. Sources close to the project said Foster + Partners, which has designed buildings including the McLaren Technology Centre and Hearst Tower in New York, is helping Apple on the retail store design brief. 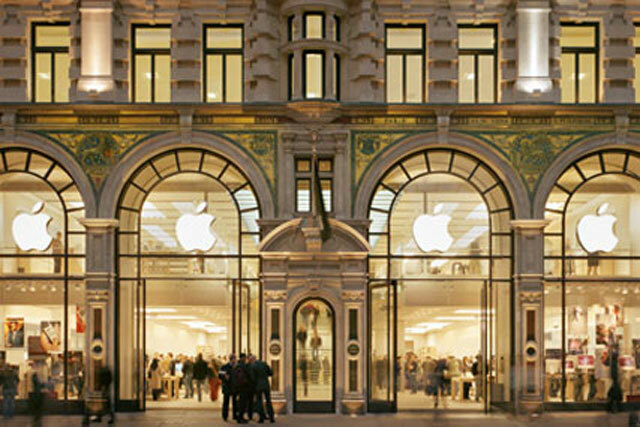 In the past, Apple has worked with rival architecture firm 8 Inc for its trailblazing stores, with 8 Inc responsible for the overall design to be found in flagship stores such as those on 5th Avenue and Regent Street. The news comes after Apple finally succeeded in its long-running efforts to trademark its minimalist retail outlet design in January. The US Patent and Trademark Office granted the trademark for Apple Store design cues including all-glass storefronts and rectangular tables on 22 January, after Apple first applied for a trademark in May 2010. Foster + Partners has a long-standing relationship with Apple after being hired by founder Steve Jobs to build its new headquarters, with Jobs first unveiling renderings for the "spaceship" design in June 2011. Last week, Bloomberg reported the budget for Apple Campus 2 had jumped from less than $3bn (£1.96bn), to almost $5bn (£3.3bn) since the project began. When contacted about working with Foster + Partners for its retail stores, an Apple spokesman said the company did not "comment on rumours or speculation". A Foster + Partners spokeswoman said: "Any project for Apple is confidential and therefore we are unable to comment."